It is the dawn of Senegal's independence from France, but as the citizens celebrate in the streets we soon become aware that only the faces have changed. White money still controls the government. One official, Aboucader Beye, known by the title "El Hadji," takes advantage of some of that money to marry his third wife, to the sorrow and chagrin of his first two wives and the resentment of his nationalist daughter. But he discovers on his wedding night that he has been struck with a "xala," a curse of impotence. El Hadji goes to comic lengths to find the cause and remove the xala, resulting in a scathing satirical ending. 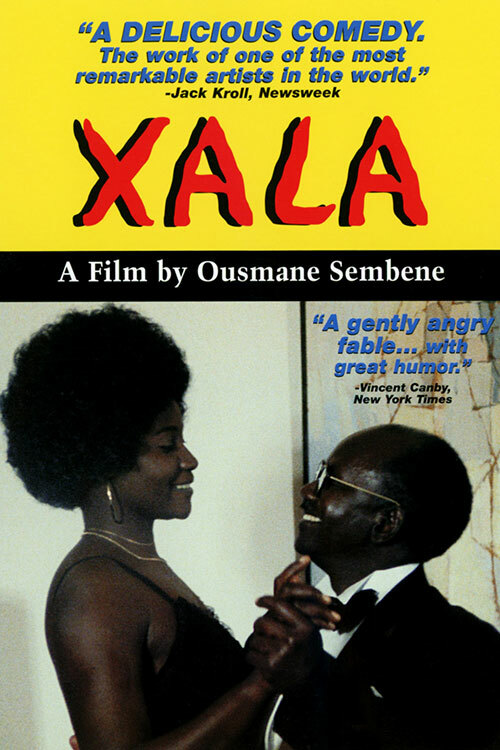 0 Response to "Xala (1975) Ousmane Sembene"